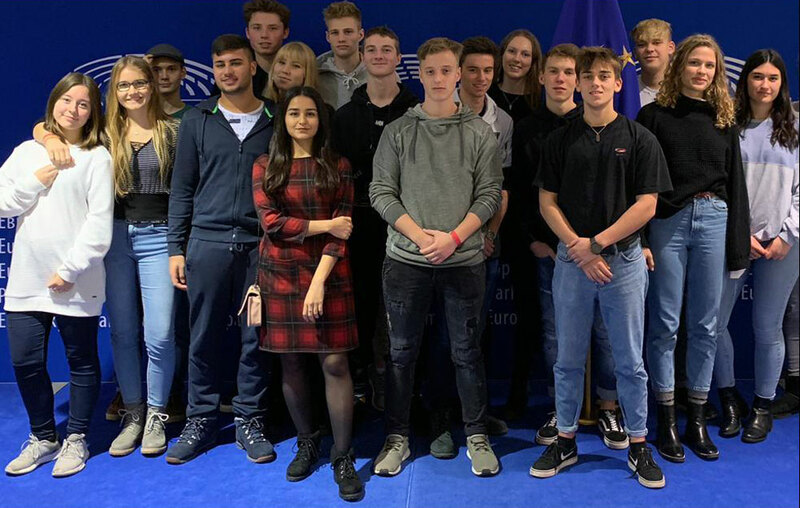 It all started with an invitation by Dr. Christian Ehler in 2016 when the idea of visiting the European Parliament in Brussels with our GK Debating was born. Before we finally set off for 48 intense hours in Brussels, there were quite a lot of things to consider and organise – contacting every possible debating club or society in Brussels in order to exchange ideas and maybe have a debate, checking venues, dates, accommodation and cheapest ways of transportation, discussing possible meetings and venues with complete strangers, coping with students struggling to meet important deadlines, introducing entirely new debate formats and meanwhile preparing for the Berlin-Brandenburg School Debating Contest – which the team actually won. We shared the idea of going to Brussels with our students in the very first lesson of the schoolyear to see whether they would take this leap into the unknown with us. Being the new teachers of the Debating class, we were exhilarated to find nearly all of them interested which rocketed our enthusiasm for the implementation of this challenging adventure. Joining our trip also meant that they had to learn a new debate format, prepare a debate and be willing to follow our packed itinerary – not even 48 hours in town and so much to do. A media team was set up and several students prepared background information on a range of Brussels-related topics. Of course, the Belgian and European capital has more to offer than debates. In order to get a feel for the city, we strolled along the streets of the city center, passing Zinneke, Jeanneke and Manneken Pis, grabbing waffles and “frites“ on the way, having a look at the Royal Palace and ambling along the paths of the Warandepark and along the Wetstraat. The grey sky and soft rain could not dampen our mood and on Tuesday, even the sun joined us on our way to the European Parliament. In the heart of Brussels – close to the Grande Place – Johanna, Edwin, Jan, Magnus, Berrin, Jasper, Artjom and Sarah accepted the challenge and debated impromptu in a new format (WUDC style) and with only 15 minutes of prep time (while having lunch) that robots should/should not kill. They were closely observed by experienced members of the Brussels Debaters – Ben and Bathar – who were our hosts for the hours around noon. The extensive and detailed feedback included new aspects of delivering speeches such as public speaking in general and also addressing a specific audience. And indeed, speaking about the given topic to an imagined group of Japanese teenagers DOES have a decisive effect on the outcome of the debate. At HCG, we usually debate three on three with proposition and opposition and a speaking time of 7 minutes (4 minutes reply). Furthermore, the prep time for our debaters normally is at least a week. In order to be able to debate the Belgian Debaters we introduced the WUDC format which is also known as British Parliamentary. That means four groups of two people- divided into Government and Opposition – debate the motion. Prep time is only 15 minutes and the speakers have different roles. For more information on this, just follow this link >. Only two hours later the group set off for the next challenge – debating with the Solvay Debating Society at the Free University of Brussels. Here we met three experienced debaters who were happily awaiting us for another round of debates. Sarah, Johannes and Magnus debated whether independency movements for certain European regions have become obsolete (HCG style). They clearly won the debate, maybe this was also a little bit due to the fact that the opposing team had a reduced prep time (5 minutes compared to our three weeks ;)). Nevertheless, the feedback given was accurate and very helpful. In the end, five volunteers – Magnus, Jasper, Berrin, Jan and Johanna – accepted to debate whether to broadcast a welcome message into space. For this debate, each of them was paired up with one of the Solvay students – Vivien, Jefferson and Gregori. After this lively debate there was another round of fruitful feedback before we finally headed back to our hotel. We hope that due to this experience the giant leap between school-life debates and real-life communication has now become a small step only. Thank you for being open for the unknown! 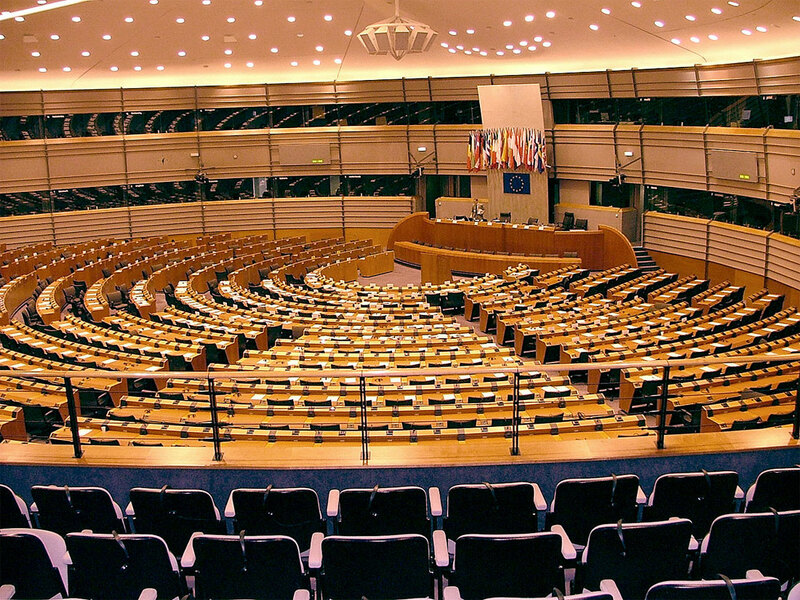 Visiting the European Parliament definitely was the highlight of our trip everyone was looking forward to. In front of the main building we were met by Mrs Hoffmann who guided us through security and gave a first insight into what was awaiting us. Entering the building we were surrounded by loads of busy people with suits, an abundance of different languages in the hallways and thus a very “international” and important atmosphere which could be felt by everyone. In one of the conference rooms we were joined by Dr. Christian Ehler, who took a full hour of his precious time to talk to us about the European Parliament in general to provide a glimpse into his complex and multifaceted world of work in European politics. Moreover, and even more important and impressive for our young debaters, he talked about the role and use of language (and its snares) in international negotiations. He perfectly linked the main aims of our debating course with the students’ possible future working environment and unambiguously made it clear that this generation’s jobs-to-be (not matter whether those will be academic, technical or artisanal) will always be linked to what happens in Europe / European developments. Multiple times he pointed out how important languages were and how future-oriented courses such as debating can be, not only for work but also for private life. After Dr. Ehler’s inspiring words, we were guided through important parts of the building such as the assembly room by guide Florian, who patiently answered all of our curious questions on the procedures during conferences and decision-making processes and the complexity of translating every speech into 24 or more languages. Later on, guided by trainee Luca, we also had the chance to sneak into some areas normally unseen by the public. We finally left the European Parliament with heaps of inspiring thoughts and overwhelming impressions (and bags full of merchandise products ). Especially Dr. Ehler’s thought-provoking words will definitely stick in our minds. 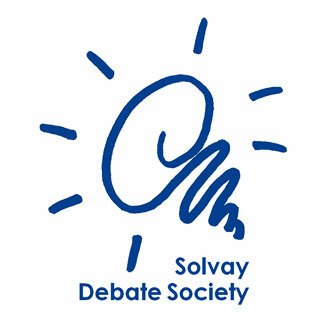 Dear Ben (Brussels Debaters) and Vivien (Solvay Debating Society), thank you for making this wonderful exchange of debating ideas possible. Dear Mrs Hoffmann, thank you so much for all the effort prior to our visit. We couldn’t be more grateful for the opportunity you gave us. Florian and Luca, thank you for guiding us through the maze or the European Parliament and answering our questions about this extraordinary place so patiently. Now dear Dr. Ehler, we left speechless. Thank you so much for your precious time and inspiring words. And thank you Artjom, Berrin, Chantalle, Edwin, Fatima, Jan, Jannik, Jasper, Johanna, Johannes, Lena, Maya, Magnus, Mark, Oli, Romano and Sarah for two fantastic and fun days! From Sunday to Tuesday we went to Brussels and in my opinion this was the most educational trip I’ve ever done in my life. I’ve not only learned how to order a gluten free waffle in French (which is probably harder than you think), but I’ve also learned essentials for my life. On Monday we had the onetime chance to debate with students from Brussels. For this purpose we had a prepared debate but also a British Parliamentary Debate, which is like a spontaneous debate with 15 minutes of preparation. I’m not gonna lie, I was too scared to debate with 20-24 years old students who have been debating for a longer time than me. Now in the end, I really regret my decision because I won’t get such a chance ever again. But through the feedback these students gave our debaters I learned so many new things not only about debating but also about public speaking in general and that was truly worth the headache I had at this time. In my opinion, debating is a playful way to improve your way of public speaking but you also learn the ability to stand for your position. Knowing how to debate well will open you nearly every door in your life. I’m very happy that I realised this and in this way I want to thank Mrs Cornelis and Mrs Lose who made it possible for us to spend an incredible time in Brussels! Brussels – the heart of Europe took also our hearts away! It was a short but really cool trip. Including fun time in the hotel, nice sightseeing and the most important part: cool debates with debaters from all over the world. Conquering other debating teams we earned not just experience and practice but we also had fun winning with the others. Although I would wish to stay a bit longer but still it was a successful trip! A big thank you to the teachers Cn and Lo! Nice trip, nicer teachers and the nicest friends. Belgium is a fascinating country and we came away with great memories of our trip. It was really fun to spend sometime in a new town, a town literally filled with chocolate! We had enough free time to have fun with our friends and visiting some beautiful places and do sightseeing. On top we had to deal with debaters of different nations meeting in Brussels, the centre of Europe, including exciting debates. All my expectations were totally fulfilled and all the new experiences we had in Brussels will never be forgotten. I’m very thankful to Miss Cornelis and Lose and I definitely would really recommend to every student to do this Brussels trip – it’s worth it! Although our trip to Brussels was quite short – only two days – it was totally worth it! Yes, we went more than seven hours by train and yes, some of us missed getting out of it when we arrived back in Berlin, but even that can be funny with the right people. The whole trip was a lot of fun with cool teachers and a humorous atmosphere. And it was interesting as well! 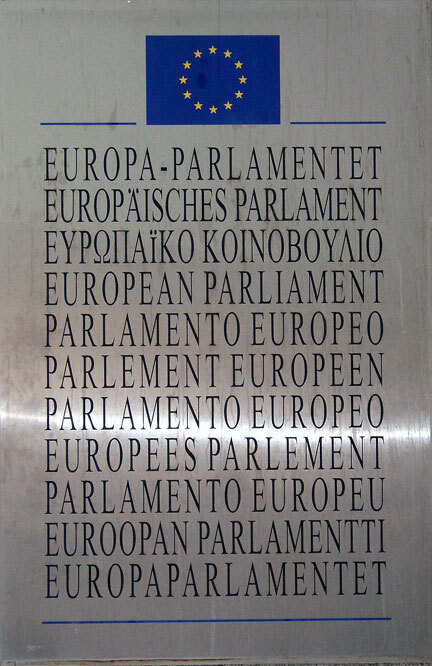 We had some debates with students of a university and visited the European parliament – lots of new experiences. For me, it was just a great last trip with our school!! !